Misty is a Florida Registered Paralegal bringing over 15 years of legal experience to our family law clients. She has extensive knowledge of financial reporting, client analysis, and risk assessment. Misty attended the University of Central Florida where she earned her Bachelor of Science degree in Psychology in 2012. A Houston, Texas native, Misty relocated to Central Florida in 2001 as a single Mother and began her career as a family law paralegal. As a Mother of three children, she has firsthand knowledge of the ups and downs of co-parenting and time-sharing schedules and has devoted her career to helping others through that difficult process. 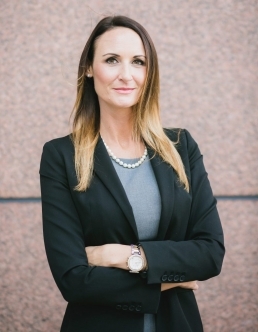 Misty is a member of the Orange County Bar Association Paralegal Section and previously served as President of the Paralegal Section from 2015 to 2016. She served on the board of directors for the Orange County Bar Association Paralegal Section from 2013 through 2018 where she helped provide training and guidance to other paralegals in the community. In her free time, Misty enjoys attending concerts, festivals, traveling and spending as much time on the beach as possible.